1. Voluntary water rationing isn’t working in the Bay Area, as residents continue to soak their green lawns and hose down their vehicles, despite the record drought conditions, the Chron reports. Earlier this year, Governor Jerry Brown asked state residents to voluntarily cut water usage by 20 percent — but most areas of the region are falling far short of that request. As a result, water agencies may have to implement water rationing or levy stiff penalties against heavy water users. 2. Caltrans said that cost overruns related to bad welds on the new Bay Bridge were $100 million, but, in fact, public records show they were $275 million, the Chron reports. 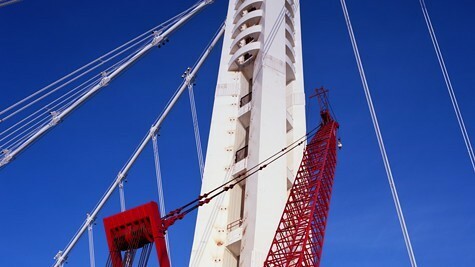 In all, Caltrans underreported costs by about $240 million for the new eastern span. 3. The state controller’s race is still too close to call, with Democratic Assembly Speaker John Pérez clinging to a 1,700-vote lead over Democrat Betty Yee of the state Board of Equalization for the second spot in the top-two primary. Pérez and Yee are fighting to square off against Republican Ashley Swearingen, the top vote-getter in last week’s primary. The state is still counting late absentee and provisional ballots. 4. In the East Bay, the 15th Congressional race is also still too close to call, with Republican Hugh Bussell holding a 751-vote lead over Democratic Senate Majority Leader Ellen Corbett for the second-place spot. Bussell and Corbett are vying to take on incumbent Democrat Eric Swalwell, the leading vote-getter in the June 3 primary. 5. The state Public Utilities Commission fired a hard-charging regulator who was pushing to hold PG&E accountable for its failure to properly test its aging gas pipelines prior to the deadly San Bruno explosion in 2010, the Chron reports. 6. Oakland Councilmember Noel Gallo, who is generally considered an ally of the city’s police union, introduced a proposal to create a civilian police review commission — a plan the union strongly opposes. The Trib$ reports that Gallo said he made the proposal because his constituents want the commission — although he may eventually vote against it. 7. The baby herons that were injured in a tree trimming incident in downtown Oakland were released back into the wild, the Chron reports. Federal authorities decided not to file charges against the tree trimmer. 8. And the El Niño headed toward the West Coast later this year may turn out to be only a moderate weather event, and thus fail to relieve the state’s drought conditions, the Chron reports.